Lend to PH’s Second Biggest Bank For 5.5 Years and Earn 5.375% p.a. 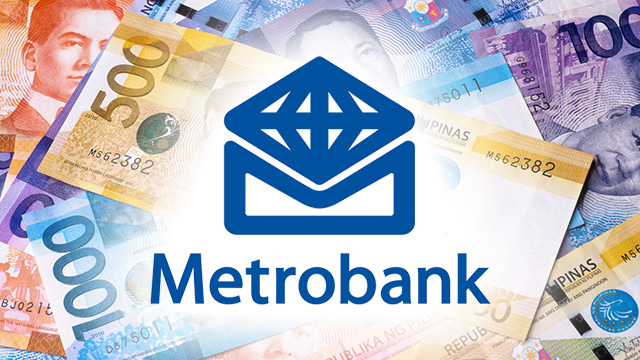 The Metropolitan Bank and Trust Company, the country’s second largest bank by assets as of the second quarter of the year, announced in a disclosure to the Philippine Stock Exchange (PSE) that it is offering long-term negotiable certificates of deposit (LTNCDs) that yields 5.375 percent per annum. A minimum investment of Php50,000 is required to purchase the LTNCDs, and additional placements can be made through increments of Php10,000. The offer period started on Monday, September 17, and lasts until Friday, September 28. The LTNCDs will mature on April 4, 2024 but interest payments will be made every quarter. The yield on Metrobank’s LTNCDs is below the country’s headline inflation rate of 6.4 percent recorded in August. Still, it is higher than the average interest rate on banks’ time deposits for placements over two years, which stands at 2.879 percent according to data from Bangko Sentral ng Pilipinas (BSP). LTNCDs are a type of fixed-income security offered by banks to borrow large amounts of funds. Like ordinary deposits, LTNCDs are also insured by the Philippine Deposit Insurance Corporation (PDIC). The government-run deposit insurance fund covers up to Php500,000, the maximum coverage per depositor. However, unlike most deposits, LTNCDs held for more than five years are not subject to the 20-percent withholding tax for interest payouts. Metrobank noted that individuals who will hold the offering for more than five years will be exempted from any taxes. Because they enjoy deposit insurance coverage and withholding tax exemption, some investors prefer to put their money in LTNCDs rather than corporate bonds even if the latter offer slightly higher coupon rates. Interested investors are advised to read Metrobank’s advisory posted on its official website. First Metro Investment Corporation, Metrobank and Standard Chartered Bank will act as the selling agents of the offering. In 2017, Metrobank posted profits of Php78.6 billion from revenues of Php83.6 billion—up by 4.7 percent from the year before. Geroge Ty, the group chairman, was listed by Forbes magazine as the ninth richest person in the Philippines in 2018. The business magazine estimates his net worth at $2.75 billion.